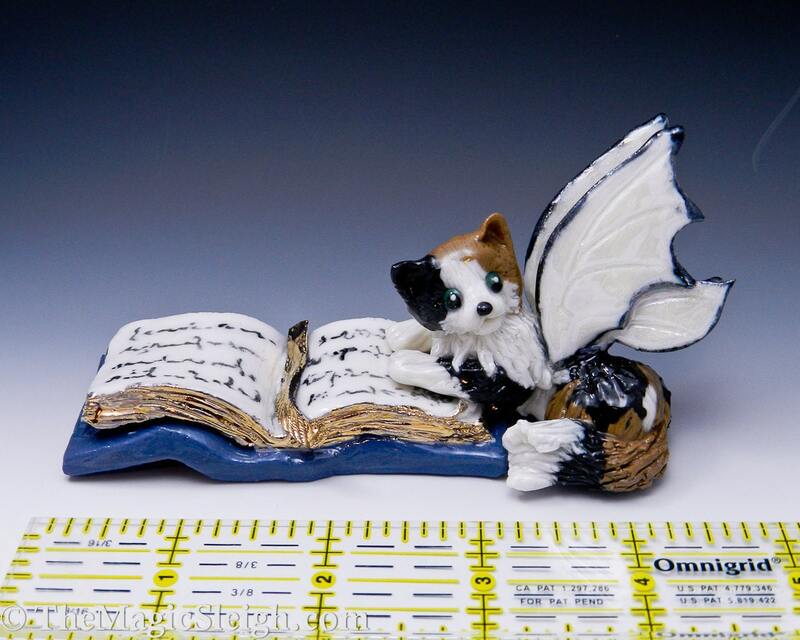 This Porcelain Calico Fairy Cat is laying on a Magical Faery Tail Book. 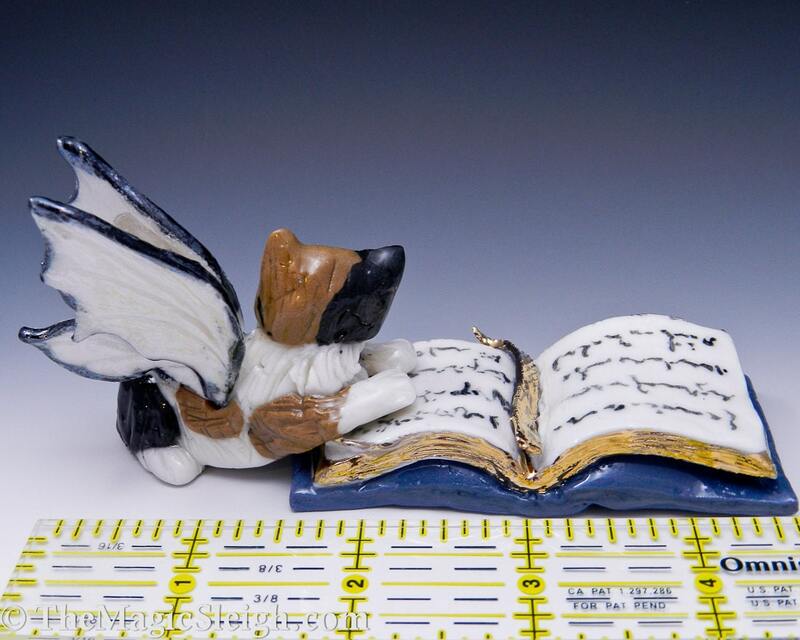 Her wings are carved porcelain with a mother of pearl glaze. *Signed, dated and numbered by the artist on the bottom. *Approx. 2 " high x 4" long x 1 1/2" wide. Each Fairy Cat is an unique sculpture, no two will ever be alike. 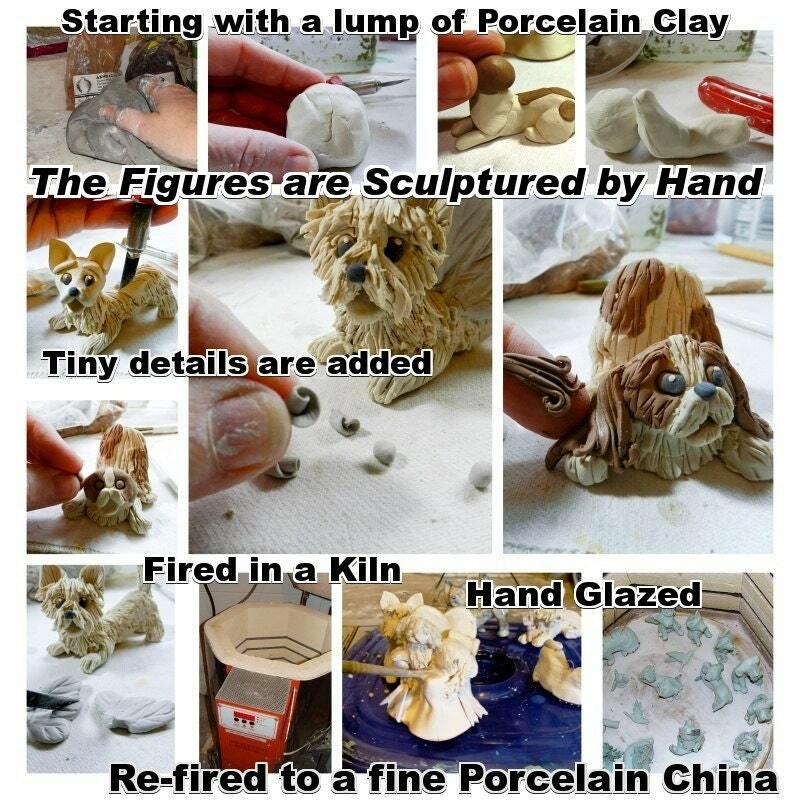 My creations are individually hand sculptured in Porcelain clay. Each flower is hand formed, each stone is hand rolled. No Molds or castings are used for any part of these exclusive designs. High fired in a kiln, hand glazed, then re-fired to a fine porcelain china. Each piece is an unique individual work of art.